Located along the Bear Creek Bikeway, the park is an excellent destination on bike or foot. It offers 32 acres of recreation with a zoo, outdoor theater, picnic tables, bbq grills, volleyball nets, tennis/basketball courts, a skate park, rental facilities, a large playground, a rose garden and fountain, and the Kiwanas-sponsored Kiddieland amusement park. Plenty of parking is located around the park. Many community events are held at Applegate, including concerts and plays in the summer. Applegate Park is located along Bear Creek and the Bear Creek bikeway, between M and R Streets. The southern edge of the park follows 25th Street, P Street, and 26th Street. Parking is available along the southern edge, N Street, and a parking lot on R Street near the Zoo. 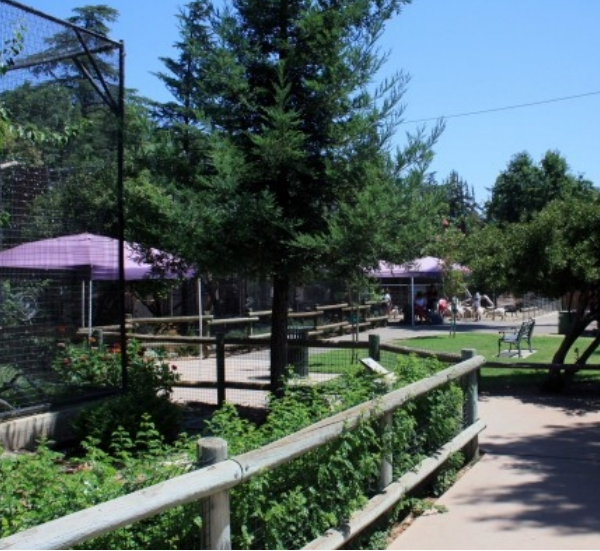 The zoo specializes in local wildlife and activities for children, showcasing species native to the Central Valley and the foothills. 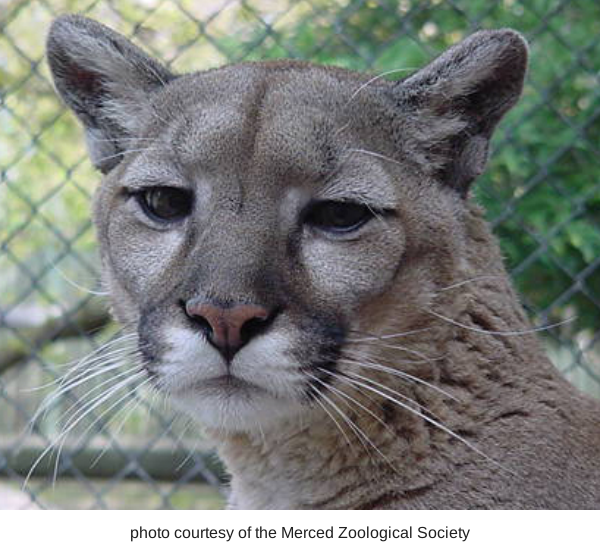 From commonly-seen birds such as egrets and hawks to the elusive mountain lion, the zoo offers a cross-section of native wildlife. 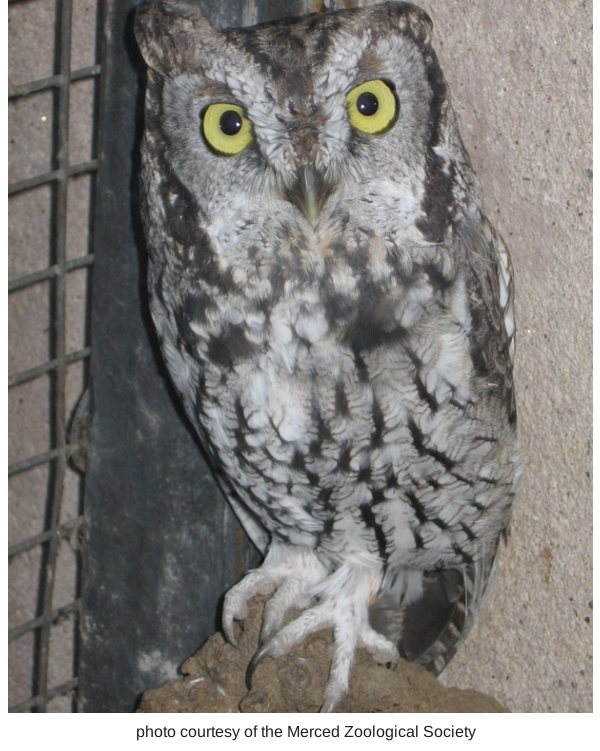 Most of the animals have been relocated from wildlife rescue agencies. 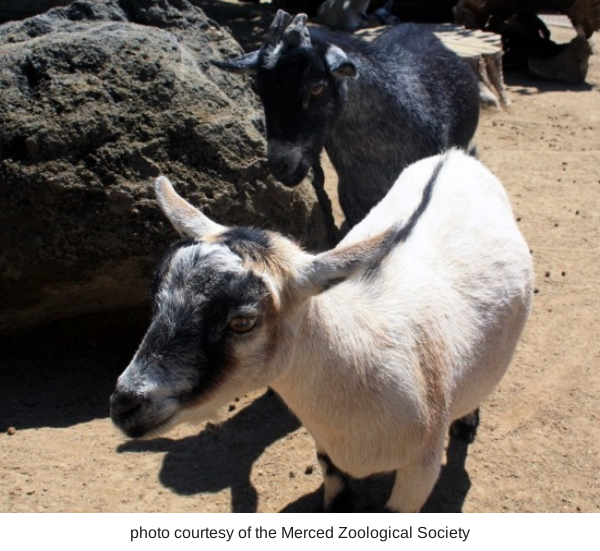 Although owned by the City of Merced, the zoo is operated by the nonprofit Merced Zoological Society. Friendly, trained volunteers are available to answer questions. This is a great place to get a close-up view of local species before heading out to a nearby wildlife refuge. 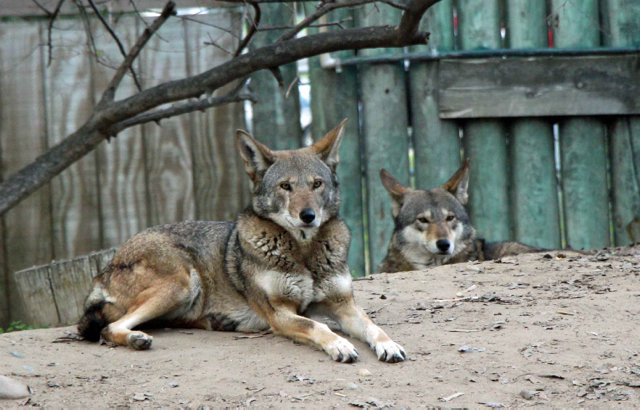 The zoo is open from 10-5 daily in the spring and summer and from 10-4 in the fall and winter, weather permitting. The zoo is closed on Thanksgiving, Christmas, and New Year’s Day. 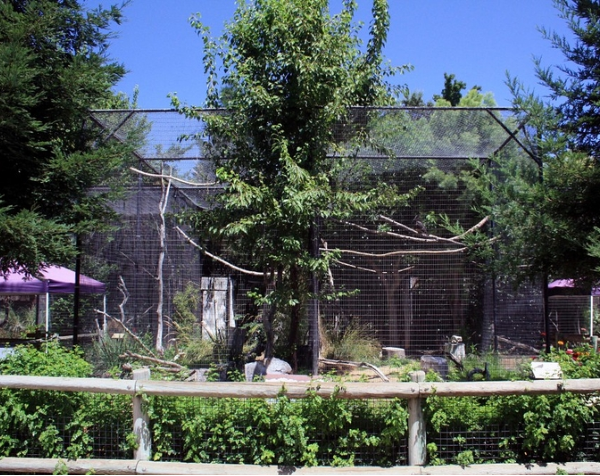 The zoo is located on R Street between Bear Creek and 25th Street. A parking lot is located on the corner of R and 25th. Petting Zoo and Goat Feeding: Friendly (and hungry) goats can be fed with goat food for sale at the zoo’s gift shop until the day’s supply runs out. Visitors who wish to feed the goats are advised to visit before 2PM. The zoo also offers a small petting area where kids can play with chickens, rabbits, ducks, kittens, turtles and guinea pigs. 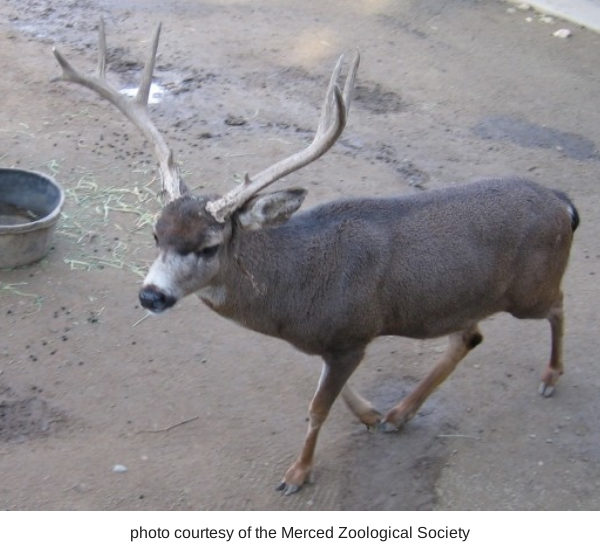 Field Trips: The Merced Zoological Society can arrange guided visits to the zoo for school groups. Zoo Camp and Special Events: The zoo holds two one-week zoo camps for children aged 6 to 9 and a “Trick or Treat in the Zoo” on Halloween. Sometimes it is the "small animals" that are fun for the little ones! This is a safe and fun option for families with small children. A storytime for kids aged 3-5 is offered every Saturday from 11-12. A number of other special events happen throughout the year. The zoo can be rented for birthday parties. Facilities include the Rossotti Ed-Zoo-Cation Center building with tables, chairs, refrigerator, freezer, and silverware. Table coverings, napkins, plates, cups, and invitations in an animal theme design are provided. Groups can participate in the Zoo Parent Adoption Program which allows them to help feed and care for the zoo’s animals. The Zoological Society operates a gift shop that specializes in educational toys, books, and gifts. All proceeds help support the zoo’s operations. Oporates the local Kiddieland amusement park since 1957. 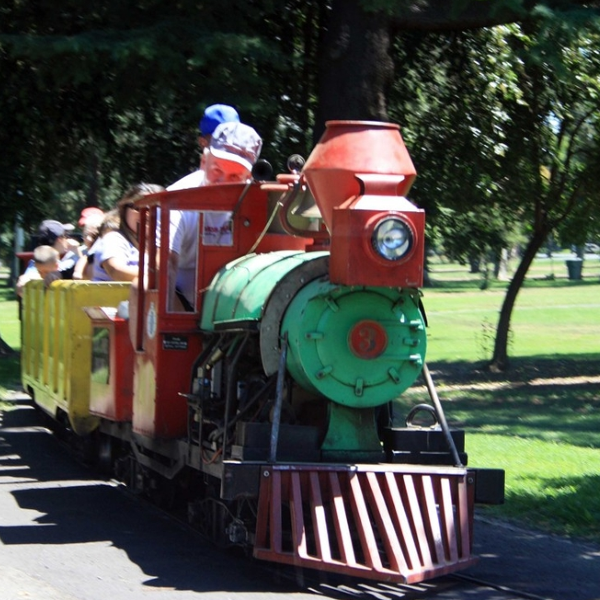 With six rides including a train that loops around Applegate Park, Kiddieland is a great place to take children on weekend afternoons. 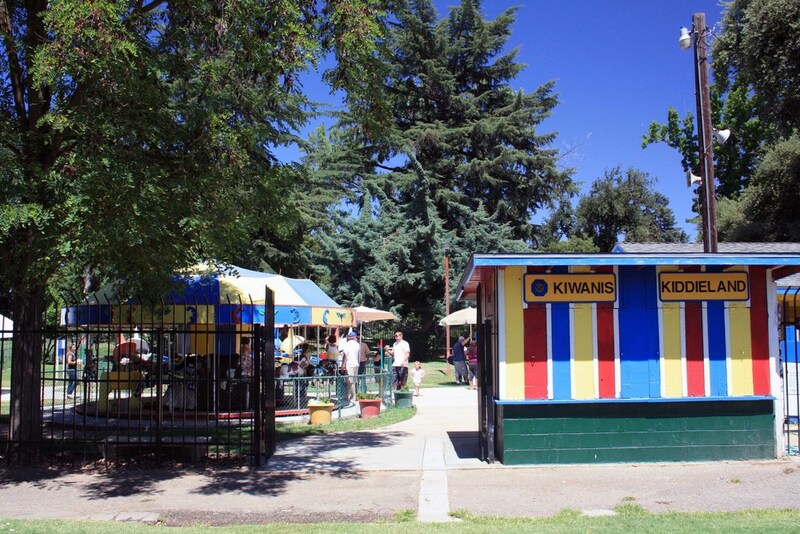 Friendly Kiwanis volunteers operate the rides on Saturdays and Sundays from 1-5PM starting in March of each year. The amusement park remains open through October. Snacks are available at a refreshment booth. Kiddieland can be also be rented for private parties. Location: Near the intersection of 25th and Q Streets. 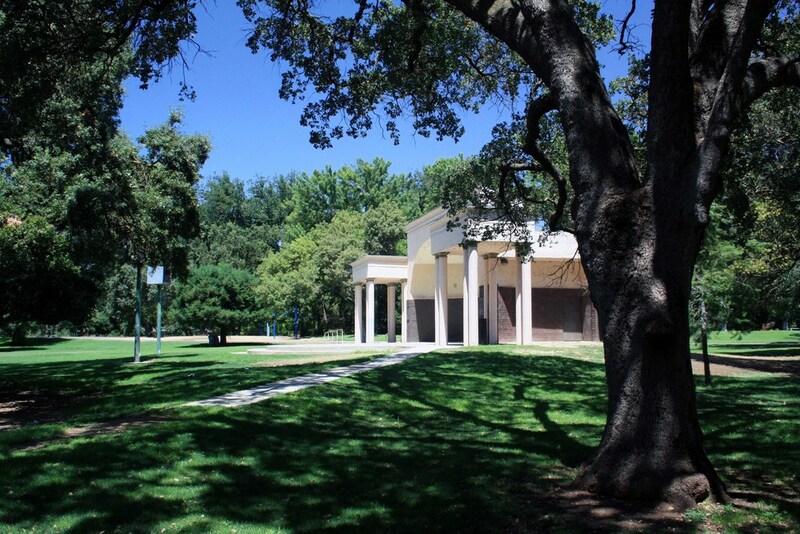 The most popular outdoor entertainment venue in Merced County, the Open Air Theater is the site of free concerts and plays throughout the summer. The theater can be rented for private events. Visit the City of Merced’s webpage for rental information: City of Merced Rental information. Location: The theater is located in the middle of the park along the bikeway. Volleyball nets are located in the eastern half of the park, between M and O Streets. Tennis and basketball courts are located in the center of the park, near Kiddieland. 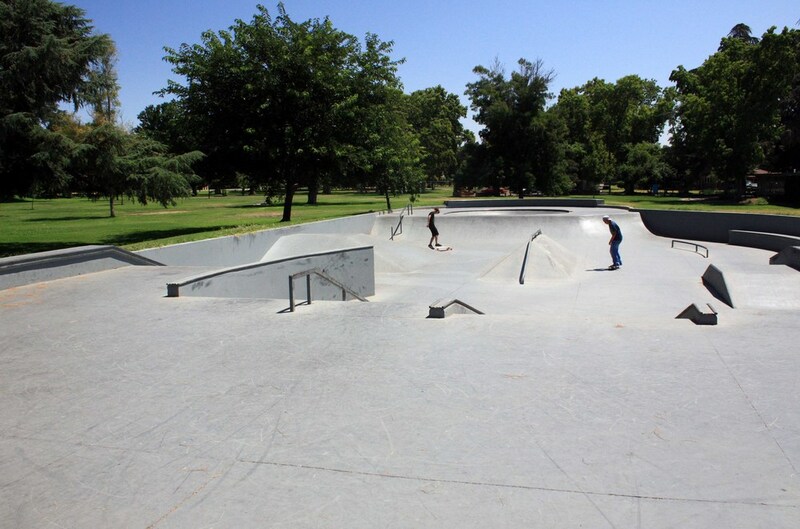 Skatepark: The skatepark is located in the center of the park, near O and 26th Streets. Bikeway: Applegate Park is located along the Bear Creek Bikeway, which runs from McKee Road to Highway 59. This route connects with other bikeways and bike lanes in Merced. Also check out our page titled Bike Paths in Merced County for additional bike routes throughout the county. Playground: A large playground is located in the center of the park along 25th street between Q and P Streets. The playground includes swings, a large climbing structure with slides, and benches. 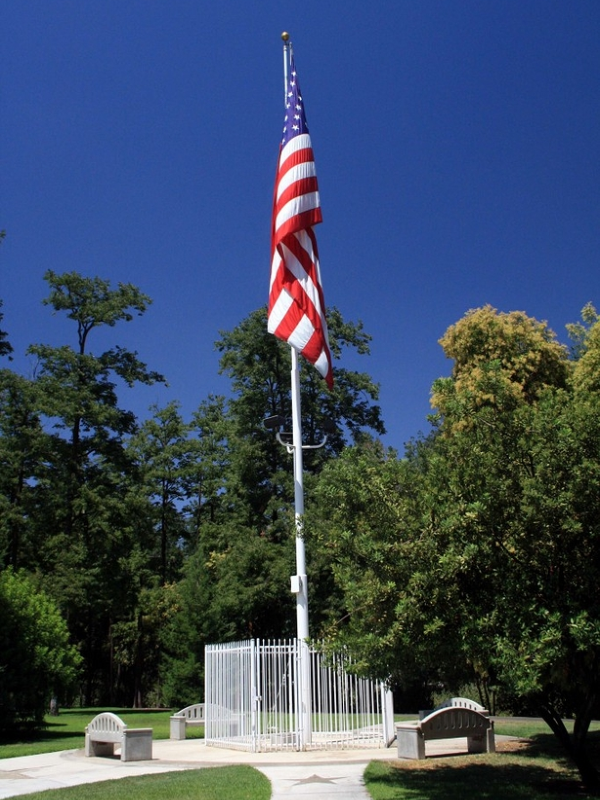 Rental Facilities: The Rossotti Ed-Zoo-Cation Center, Merced Open Air Theater, Scout Hut, Picnic Shelters, Gazebo and Rose Garden can all be rented for group events. Visit the City of Merced’s webpage for rental costs and forms: City of Merced Rental information. 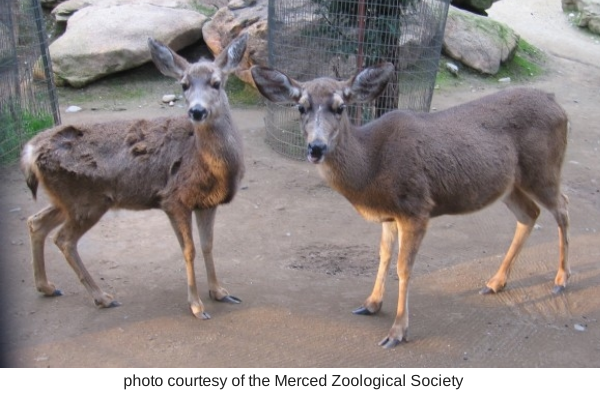 The Applegate Zoo in Merced is the best place within a 100 mile drive where you are guaranteed to see a broad selection of local wildlife. 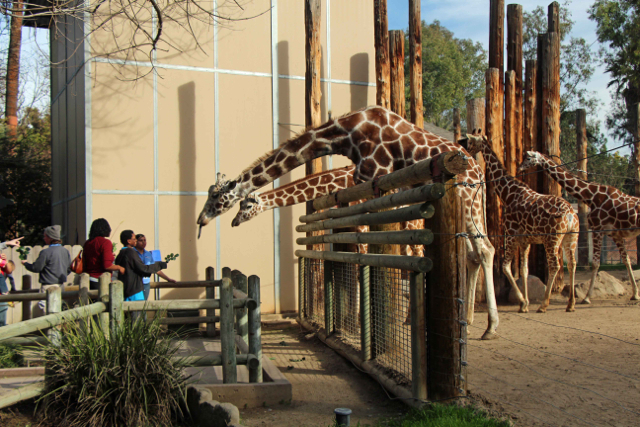 Fresno’s Chaffee Zoo is the best place with 100 miles to see a wide range of animals from around the world. Small Wonders Animal Encounters: a petting zoo where kids of all ages can enjoy gentle animals face-to-face. Giraffe Feeding: For $2 a person, you can hand feed a giraffe. For $3 more you can get a professional quality photo of the feeding to take home. 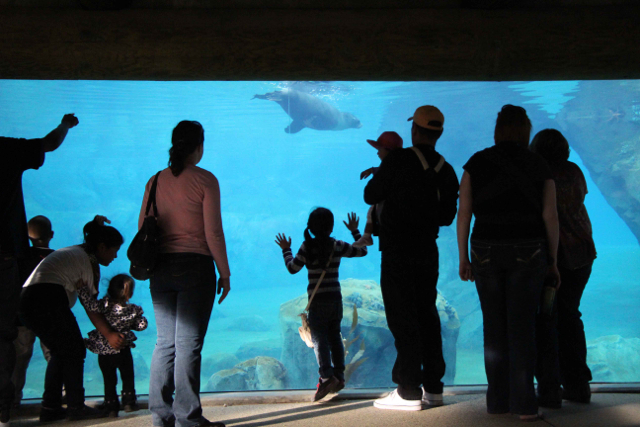 Sea Lion Cove: The best recent addition to the zoo is this opportunity to view sea lions at four different levels. My favorite level is the underwater one. Looking into the sea lion pool through a large window, you can be at eye level with the sea lions as they swim towards the glass and interact with their visitors. I’m still not sure if it is more fun to watch the sea lions or to watch small children as they interact with the sea lions! Dino Dig: Kids of all ages can participate in a simulated paleontological dig to recover a full-size tyrannosaurs rex. Stingray Bay: For $2/person, you can touch cow-nose rays and southern stingrays. Winged Wonders Bird Show: daily free-flight bird show presented during good weather from March through October. Keeper Chats: Offered several times daily in many sections of the zoo, these presentations are a great way to learn more about the zoo’s animals from the people who take care of them. 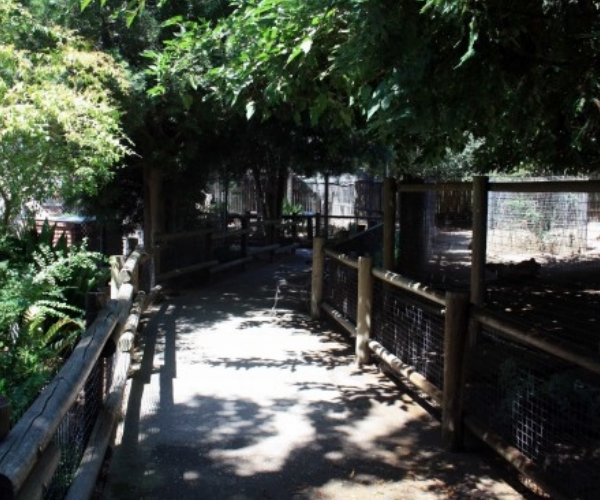 Walk-Through Bird Enclosures: The Tropical Rain Forest, African Aviary, and Australian Aviary are places where you can walk among the birds and see them at extremely close range. For current schedules for all of these activities, check the zoo’s website. The zoo is open every day of the year except for December 25th. From April 1 through September 30, it is open from 9AM to 6PM. From October 1 through March 31 it is open from 9AM to 4PM. On Thanksgiving Day it is open from 9AM to 2PM. Admission is $7 for all visitors aged 12 through 61 and $3.50 for seniors (62+) and children (2-11). Children under 2 are free. The zoo has clean restrooms, a gift shop, and two food options if you get hungry during your visit (Safari Café and Nosara Grille). No matter what your age, the zoo is a lot of fun. Strollers, wheelchairs, and other mobility devices are welcome. Wagons, strollers, and wheelchairs can also be rented once you arrive at the zoo. If you’re a photographer, the zoo is a great place to bring your camera. If you hope to take photos for a purpose other than personal use, check with the Zoo’s Marketing Department first. Sea Lion Cove was the zoo’s latest addition and ongoing work will bring a variety of new exhibits in the months to come. The next two projects will bring African Spotted-necked river otters and king cobras. Located at 894 West Belmont Avenue in Fresno, it’s easy to find. From Highway 99, exit Belmont and turn left onto Belmont. Look for Roeding Park on your left and turn into the main entrance. There is a $5 fee to enter the park, which includes your parking. The park can be crowded on weekends, so it’s a wise idea to arrive in the morning or to visit on a weekday. In addition to regular visitor hours, the zoo offers a Zoo Camp, family and group overnight events, twilight and backstage tours. The zoo can also accommodate birthday parties and weddings. You can find more information and current schedules on the website. 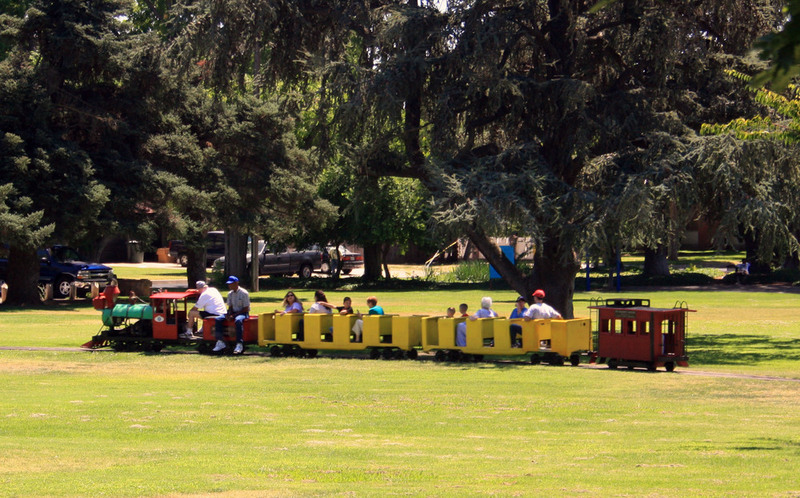 The City of Merced maintains a wide range of neighborhood, regional, and community parks within the city limits. Many of these parks are located along Merced City Bikeways. Information on bike routes is included in the descriptions below. This map also shows parks that the City plans to build in coming years. 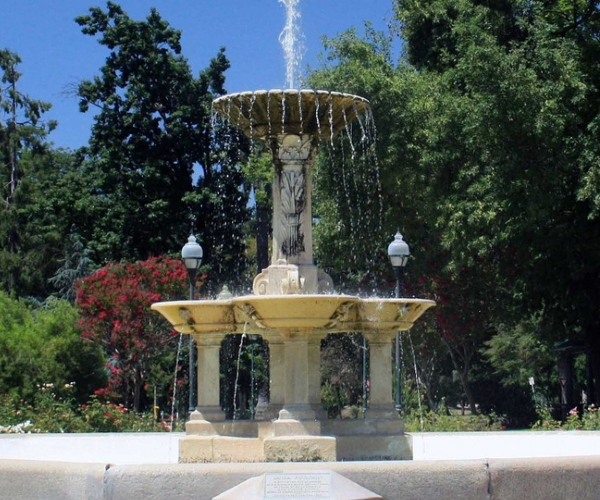 Applegate Park is Merced’s central park. Located along the Bear Creek Bikeway, the park is an excellent destination on bike or foot. It offers 32 acres of recreation with a zoo, outdoor theater, picnic tables, bbq grills, volleyball nets, tennis/basketball courts, a skate park, rental facilities, a large playground, a rose garden, fountain, and the Kiwanas-sponsored Kiddieland amusement park. Plenty of parking is located around the park. Many community events are held at Applegate, including concerts and plays in the summer. Stretched out along both Faherns and Black Rascal Creeks, this park boasts a brand new disc golf course and plenty of shade. Location: Along Buena Vista Drive between R Street and Highway 59. For information about the bike trails of Merced, click here. Adjacent to Golden Valley High School, this park provides a large area for recreation in southeast Merced. City league softball games are often held on the lighted softball fields. 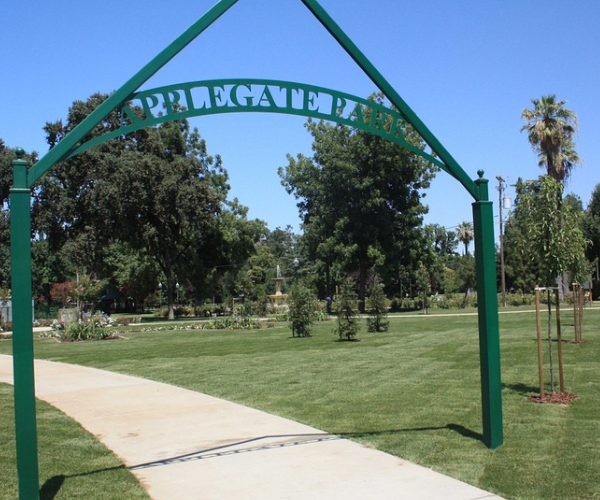 Centrally located in south Merced, McNamara Park offers a broad range of recreational activities and plenty of shade. Looking for a place to allow your dog to play off-leash with other dogs? The Merced Dog Park has well-fenced areas for both small dogs and larger dogs. 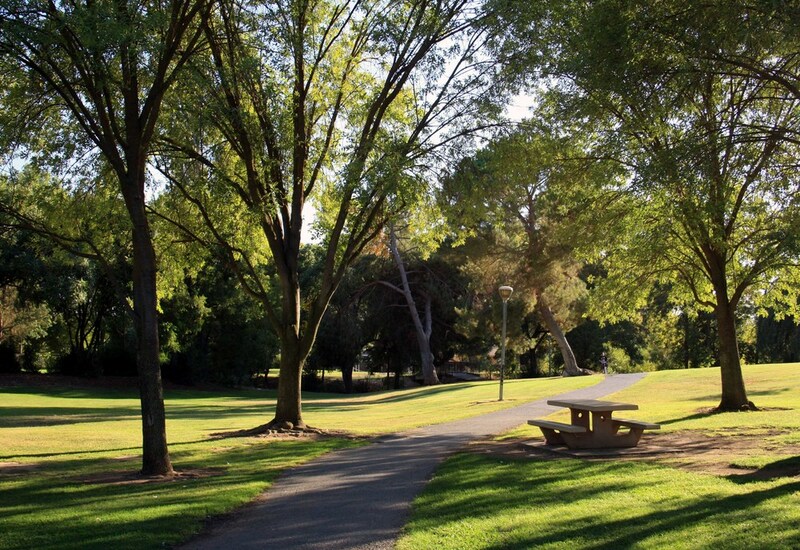 A shady creekside park in the center of north Merced, Rahilly Park has long been a favorite with families.